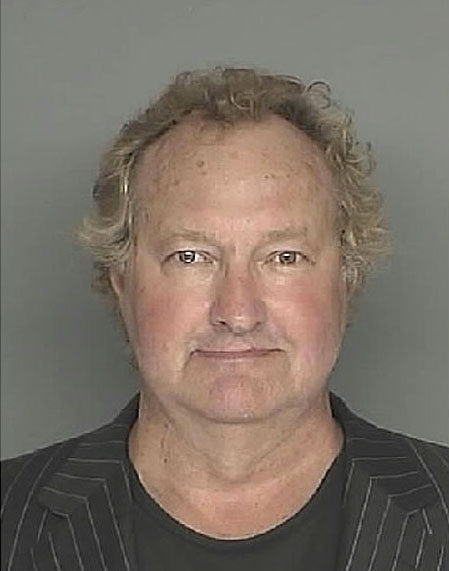 Randy Quaid was booked into the Santa Barbara County Jail in April 2010 after he and his wife arrived for a criminal court appearance two weeks late. The actor and his wife have previously been charged with defrauding an innkeeper, burglary, and conspiracy. Quaid, 59, was released after posting $100,000 bail. Submitted by GeorgeDubyaBush on Tue, 2011-05-24 00:09. Uncle Eddie? Still looking for somewhere to stay? Submitted by notinjail on Fri, 2011-03-18 21:05. Submitted by Jerjerrod on Sat, 2011-01-29 02:21. Rich doesn't fix crazy and stupid. Submitted by cousineddie on Fri, 2011-01-14 00:52. Submitted by fynechocolate on Thu, 2010-12-23 21:31. Submitted by fynechocolate on Thu, 2010-12-23 21:30. Submitted by justathought on Thu, 2010-10-28 18:21.
i don't quite understand why he could pay $100,000 bail but could not pay the bill to keep his self out of trouble. Submitted by lmowery on Mon, 2010-10-04 14:53. He is such a nothing and so ugly he turns my stomach. Submitted by Jmahalak on Thu, 2010-09-23 22:37. Seriously!!! Why!!?? He is such a funny actor!! !